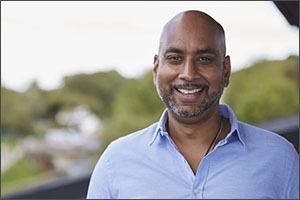 Now in its 13th year, we are delighted to announce that this year's Workplace Wellbeing and Stress Forum will be chaired by leading stress management and wellbeing expert Neil Shah. Now in its 13th year, we are delighted to announce that the 2018 conference will be chaired by leading stress management and wellbeing expert: Neil Shah, Chief De-Stressing Officer and CEO at the Stress Management Society. Neil Shah is leading international expert on Stress Management and Wellbeing. An engaging and inspiring motivational speaker and success coach, he has extensive expertise in hypnotherapy, neuro-linguistic programming and strategies to promote wellbeing, and has extensive expertise in these fields. Neil will be sharing the stage with speakers from a wide range of organisations and businesses including The Bank of England, British Council, Hays, Avis Budget Group and more. Click here to find out more about our speakers and planned talks for the day.